The Seventh Circuit Bar Association hosted a two-day immigration conference March 3-4 at the Pritzker School of Law at Northwestern University in Chicago, IL. E Pluribus Unum: The Immigration Conundrum, as the symposium was appropriately named, covered topics spanning the field of immigration including birthright citizenship, employment and family based immigration, the impact of immigration on state and local governments, and the impact on the economy. One theme common throughout was the ongoing debate and conflicting sentiments about migrants and immigration policy. Margaret “Peggy” McCormick, a founding partner of Minsky, McCormick & Hallagan, P.C. (MMH), helped plan the symposium and played a pivotal role in selecting the expert panelists. In addition, MMH attorneys Erin Callahan, Tahreem Kalam, Ana Maria Echiburu Tyrrell, and Marjorie Filice attended the event. Peggy McCormick led the panel on how immigration restrictionists and nativism relate to U.S. history and the current election process. Panel participants included Kevin Boyle, William Smith Mason Professor of American History at Northwestern University, Frank Sharry, Executive Director of America’s Voice, and Annie Wang, Staff Attorney at the Asian American Legal Defense and Education Fund. The discussion provided a detailed analysis of the history of anti-immigration sentiments in the U.S. Panelists explained that every wave of new immigrants is met with prejudice and increasingly restrictive immigration policies. This pattern is seen throughout U.S. history, despite the fact there are many people in the United States who can empathize with the struggles of those facing prejudices today. Peggy McCormick started the panel with a brief history of the nativist ideology toward the Irish and Chinese immigrants who were fleeing famine and war in the late 19th century. Annie Wang of the Asian American Legal Defense went into detail about the Page Act of 1875 and the Chinese Exclusion Acts, laws that resulted in the complete exclusion of Chinese women from the United States and were the first to prevent a specific ethnic group from immigrating to the United States. The panel worked its way through U.S. history describing every influx of immigrants–from Southern and Eastern Europeans in the early 1900s to more recently Central Americans. Each entered the U.S. fleeing war, poverty, or seeking religious freedom and encountered policies trying to keep them out. From the Tea Party to Donald Trump, nativism continues to carry sway in the American immigration conundrum. Frank Sharry of America’s Voice reiterated how the same anti-immigration movement the U.S. witnessed in the past is being repeated in the current presidential election. 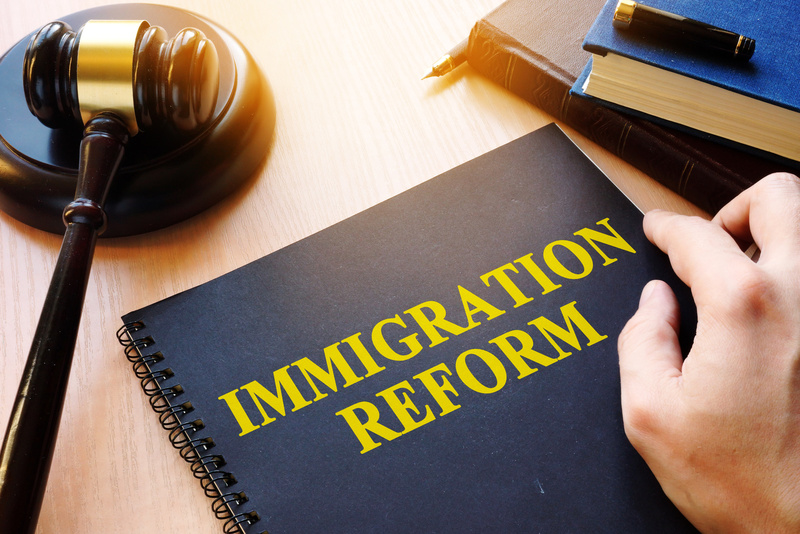 Sharry explained that the numerous efforts made in the past decade for comprehensive immigration reform during the President Bush and President Obama administrations have fallen short. These proposals for immigration reform were intended to balance the desires of providing legal status and a path to citizenship for undocumented immigrants with increased border enforcement. Unfortunately, the proposals have been met with restrictionist and nativist opposition that seem to be fueling Republican Party campaigns today and have resulted in a devastating impact on immigration reform. For help with potential immigration issues, please contact attorneys at Minsky, McCormick & Hallagan, P.C.